It’s safe to say that Samir Nasri hasn’t reached his enormous potential. He won three major trophies, including two Premier League titles, at Manchester City but there was always a feeling that the diminutive Frenchman was underachieving. 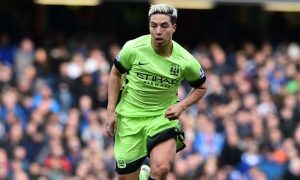 Nasri’s fall from grace led to him joining Turkish club Antalyaspor in the summer, an unexpected move, but a necessary one after Pep Guardiola made it clear he couldn’t accommodate Nasri and other clubs weren’t willing to take on his salary. The 30-year-old has had some injury problems in Turkey, making just 8 league appearances for his relegation-threatened club, and contributing 2 goals and 1 assist. He has been linked with league leaders İstanbul Başakşehir in recent weeks, a move that would see him link up with two former Blues and Gunners, Emmanuel Adebayor and Gaël Clichy. From Italy today comes news of a different offer and a very unique career opportunity for Samir – but perhaps one that would further represent how far he has fallen, when he should still be in his peak years. According to Italian portal TMW, the former French international has received an offer from Mexican Liga MX side Tigres UANL to join them on an 18-month deal with signing bonuses. Key to the Mexican club’s attempts to sign Nasri is his compatriot André-Pierre Gignac, the former Marseille and France striker, who they hope can convince him to swap Turkey for Mexico. The club also employs former Napoli forward Eduardo Vargas, a Chile international. It isn’t said how much interest Nasri has in such a move, and perhaps he still has ambitions of reviving his career and playing in one of Europe’s major leagues again.